Subscribe Now for Updates & Exclusive Content! "This workshop was one of the best experiences of my life! It was deep on an emotional, physical and intellectual level. The instructor was very knowledgeable on the topic and related information well. And I really appreciated his patience. The facility was in superb condition. The work area was very clean and accommodating. I felt very comfortable. All of the instructional material was very structured and detailed. It was very easy to understand. I was blown away by this workshop. Thank you so much, Deon! You’ve impacted my life more than words can describe. My quality of life has been improved… and so will the lives of my loved ones. I am looking forward to working with you in the future." 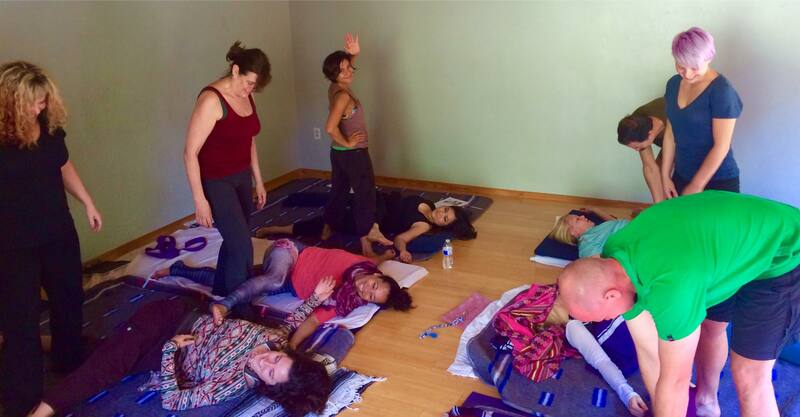 “The International Dermal Institute, the world’s leading provider of postgraduate education in skin and body therapy, is a proud host to Deon’s Thai Yoga Therapy workshops at our training centers in the US and abroad. "I want to thank you with all my heart for that AMAZING lesson! I value you so much! I do a weekly semi private yoga class for two chiropractors. The owner of the firm gifted her partner on Wed. with a Thai massage. Today the owner texted me that she heard such raves about my massage. She just ordered 4 gift certificates, $100 each. Your expertise has lead me towards a whole new career and I am so very grateful." “The result of this way of working was to open the body in a much deeper way, I felt like areas that had never been open before, were finally getting to breathe, almost like having a light shone into a dark place. I was so amazed at how my body was feeling that I decided to come back for the following day’s instruction. Upon my return to New York I continued to feel the benefits of the practice as well as Deon’s way of teaching. “Les Nouvelles Esthetiques SA, South Africa’s leading professional spa magazine, was proud to have hosted Deon as one of our speakers at our 3rd Annual Spa Conference. Deon provided his insight and knowledge to delegates from all over the African continent. Based on their feedback, he was one of the highlights of our speaker program.